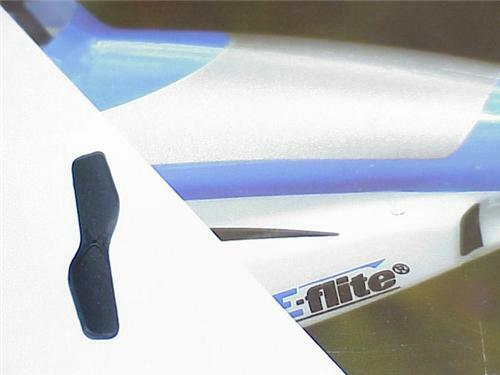 Here you have an E-Flite EFLH3017 Tail Rotor Blade For The E-Flite Blade Msr Ultra-Micro Helicopter !! These Rotors are sometimes hard to find and would set you back $4.99 plus tax or shipping at any hobby outlet so take this into consideration, buy accordingly, and pick up this complete set for those unexpected failures and crashes that always seem to happen on Sundays And Mondays and tend to ruin your flying fun !! Or replace your old bent out of balance blade and get your Heli back in perfect track !!!! You can't go wrong here when you will receive this COMPLETE set, you have a Low Purchase Price Of Only $2.00 and if you buy it now you can receive it in just a "few days" !!! Get this Package while you can for this great price !! This is a Limited Time Offer while supplies last !! OK, so Thank You For Looking and Please Check My Other "BUY IT NOW OFFERS" For More Heli Parts Upgrades, Accessories And Many More Great Deals !! Also please buy with confidence and feel free to phone or e-mail if you have any questions or concerns ! !